← “Friday Wishes….” …doing whatever we can…. The whole article… quite remarkable ideas! 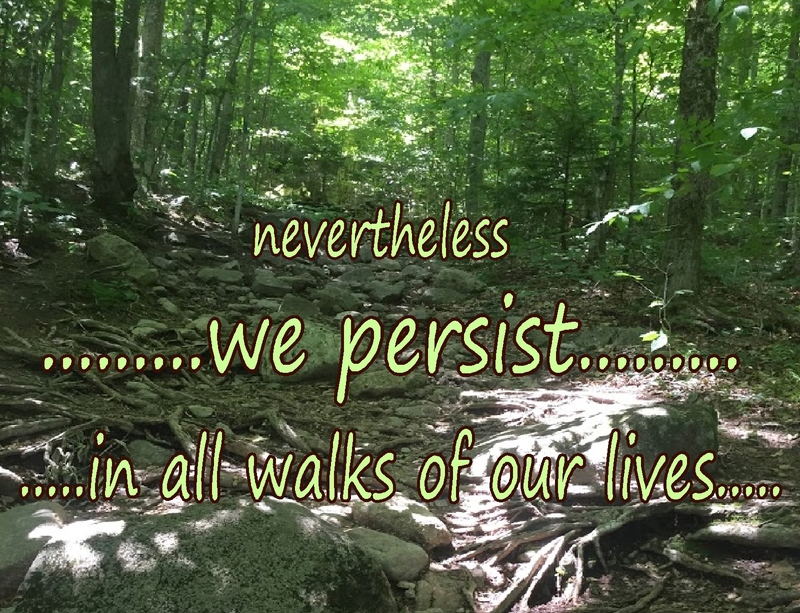 sometimes on “paths” strewn with tricky roots and rocks! 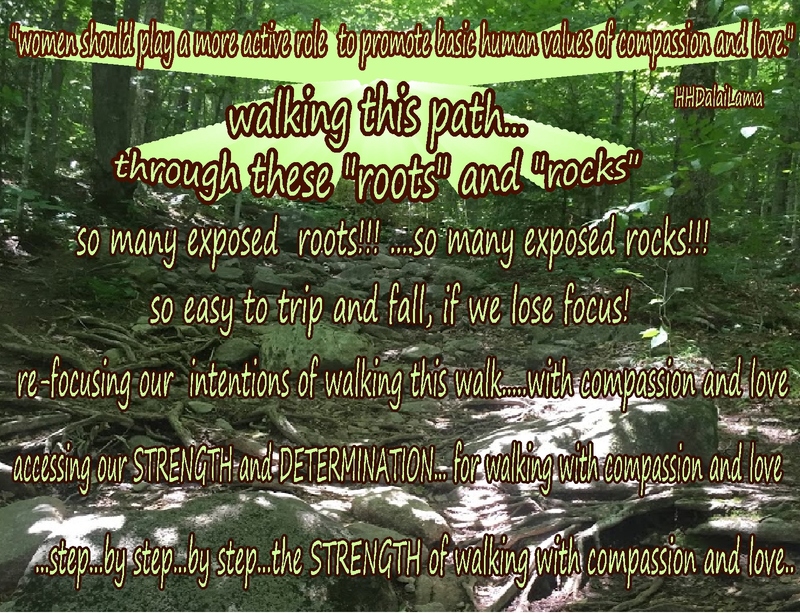 so easy to stumble on any of those roots and rocks! 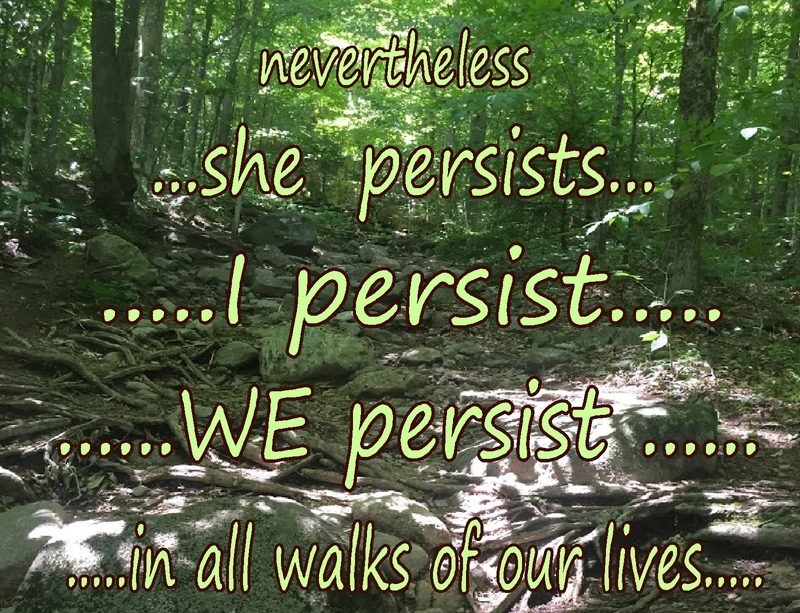 to commit to this walk….to re-commit to this walk…to keep going! 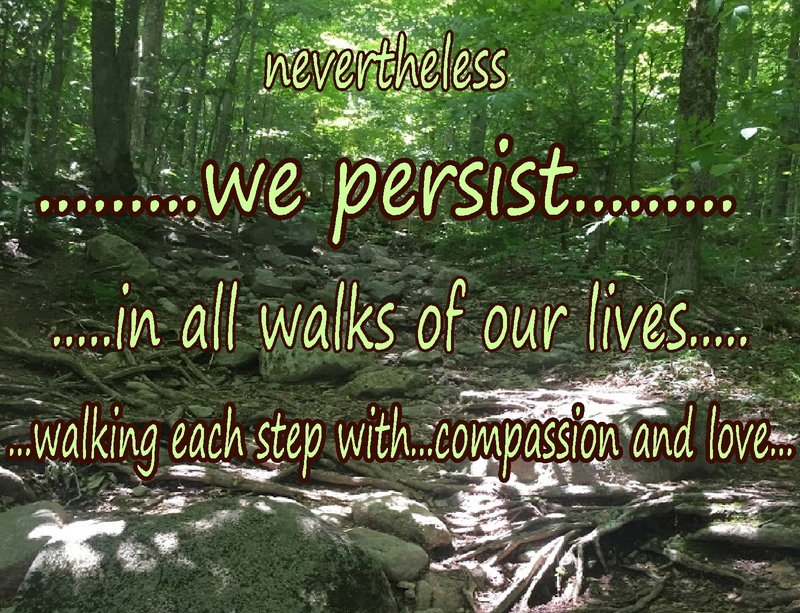 making a deep commitment to walking each and every step with…. 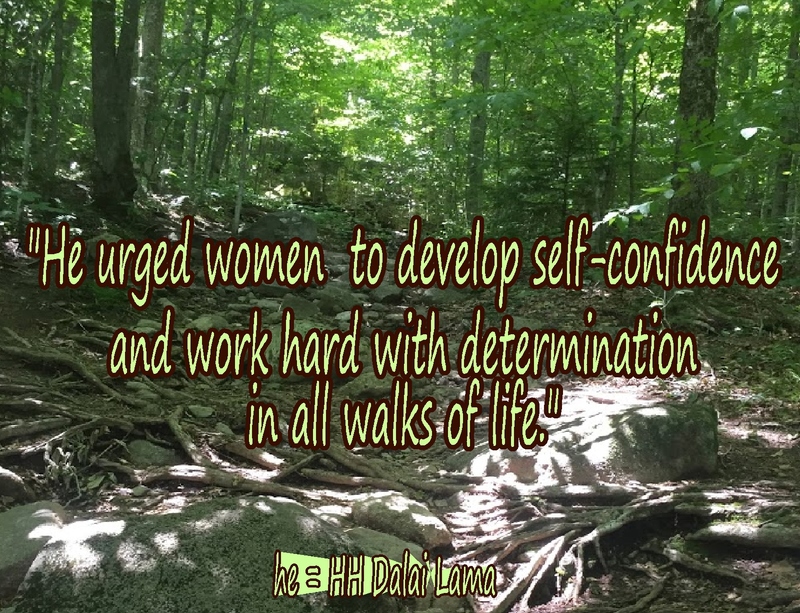 walking with the increasing strength, confidence and determination of …. 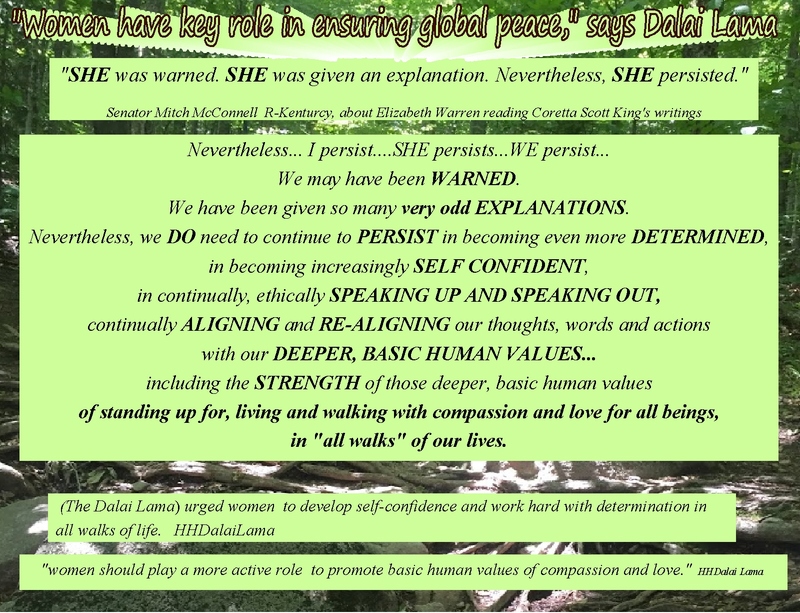 This entry was posted in Assertiveness, Encouragement, Life and tagged Awareness, Compassion, Courage, Encouragement, Inspiration, Intention, Kindness, Life, Love, Loving kindness, Persistence, Spirituality, Strength, Wisdom. Bookmark the permalink. 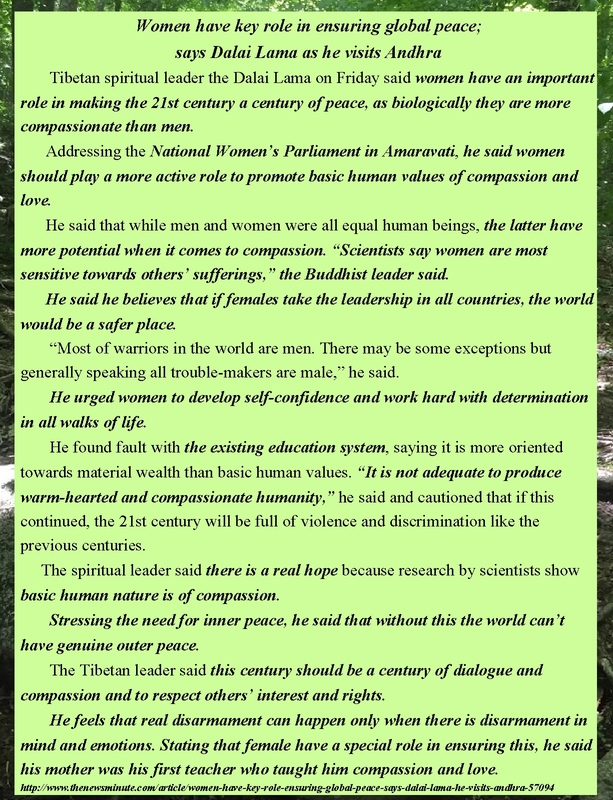 I agree with the Dalai Lama, such a special being. 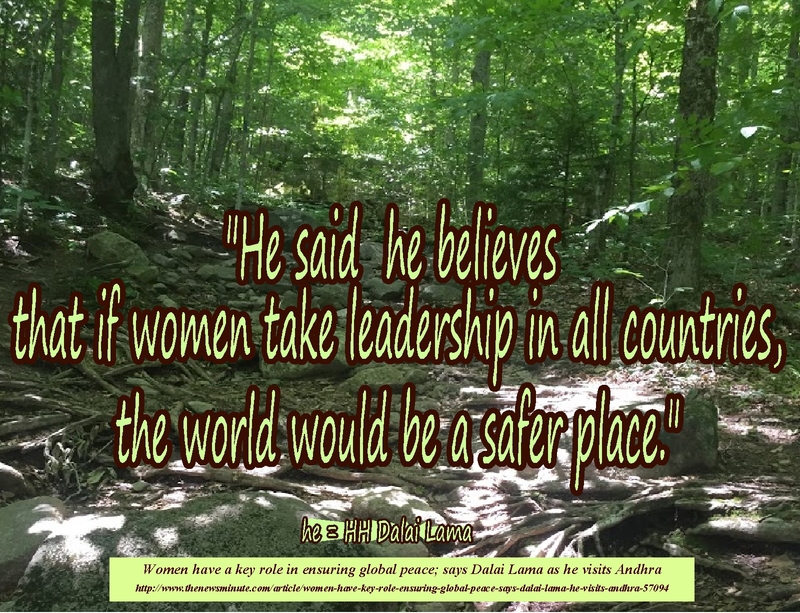 My soul mate Phil has mentioned to me before that he is in agreement that the world needs feminine leadership because we are more naturally compassionate and not testosterone driven. Elizabeth Warren would be a great leader for our country: strong yet compassionate. 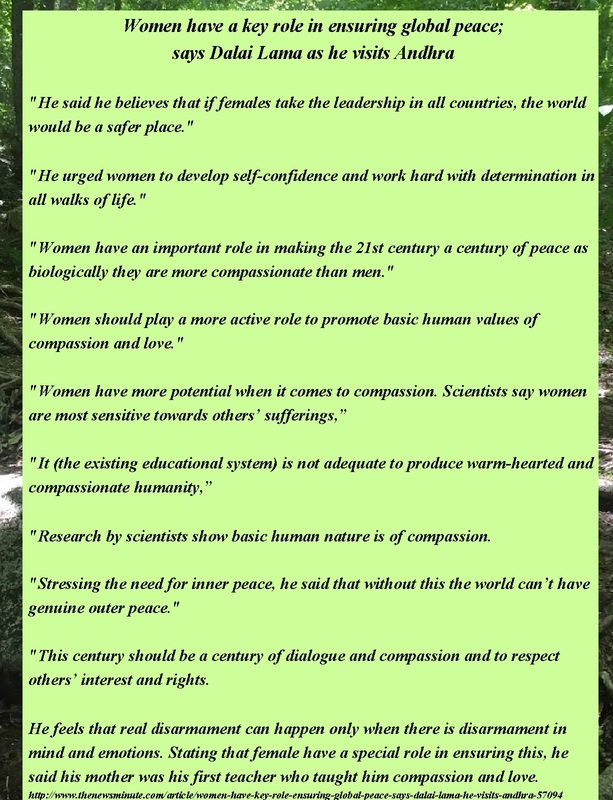 I was really impressed by a number of the ideas that the Dalai Lama expressed during that speech he gave to the Women’s Parliament! 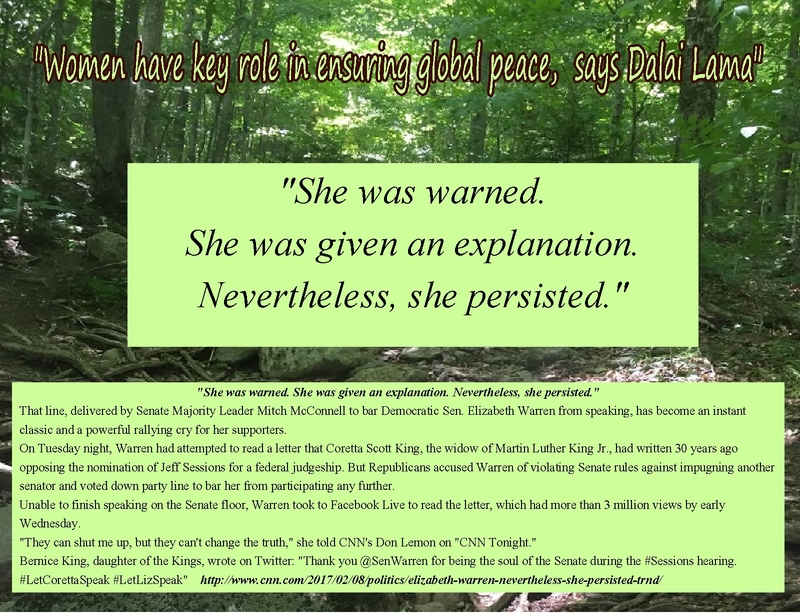 And I was inspired by how those words and ideas are tying in with and supporting women becoming more actively and strongly involved in working toward positives in what’s going on now in America and the world. For me, he is a wonderful example of, and inspiration for, living with the combination of strength and determination in living a life immersed in the midst of compassion and love…what a great combination! And yes, Elizabeth Warren seems like a person of great integrity and leadership abilities!